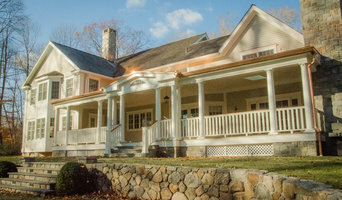 Connecticut’s Award Winning Full Service Design + Build Firm. Award winning and published design and build firm providing comprehensive services for residential new construction for a guaranteed maximum price. With a reputation for listening to clients, working within a budget, and offering fresh design solutions, hogueID consistently delivers outstanding service on each new build, renovation or remodel. We have provided design, construction, and remodeling services throughout the New Haven and Fairfield County regions for 30+ years. Our design/build firm has worked on a broad spectrum of projects. 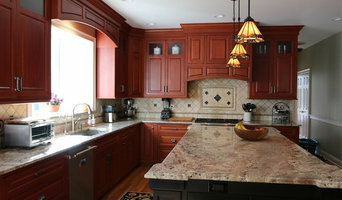 Buttendorf Building & Remodeling is a full service general contracting company specializing in residential remodeling. We have served Fairfield County for four generations and have been long time members of the Remodeling Contractors Association as well as a member of the Better Business Bureau. From small renovations to high-end custom built homes, no job is too small or too large. With 15+ years of knowledge in home renovations, we've inspired and created hundreds of homes in the area. We have been serving the lower Fairfield County area for nearly 30 years! Whether it's a new kitchen or master bath, an addition, remodel or new construction call us for prompt service. Classic Construction Group has fine-tuned the art of quality home construction, renovation and design by providing careful attention to site design, layout, architecture, craftsmanship & location. Robert is a full service general contractor offering a broad range of residential, commercial services.Robert Lupinski Painting & Remodeling LLC manages projects ranging from small room remodelings to new construction. 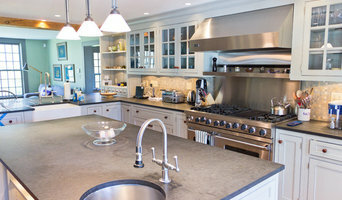 Design Builders & Remodeling is a full service residential design build firm headquartered in Ridgefield, Connecticut proudly serviced since 1986.